I'm really excited to share my first ever DIY project on the blog with you. I love hair accessories and I'm always on the lookout for flowered hair candy. Normally, the flower hair accessories I stumble on at the store are too big or look too much like cheap silk flowers. So I decided to make my own that were just perfect. First step was to stop by my local Michael's craft store. I went in knowing that I wanted to make my own ornamental hair pin wasn't sure what I would find. I was open to the possibilities of making a jeweled hair pin or one with natural stones. Whatever worked. But when I saw these tiny, neutral colored flowers, I knew they would be so perfect. Best of all, they were extremely affordable. My simple DIY project only called for three items. 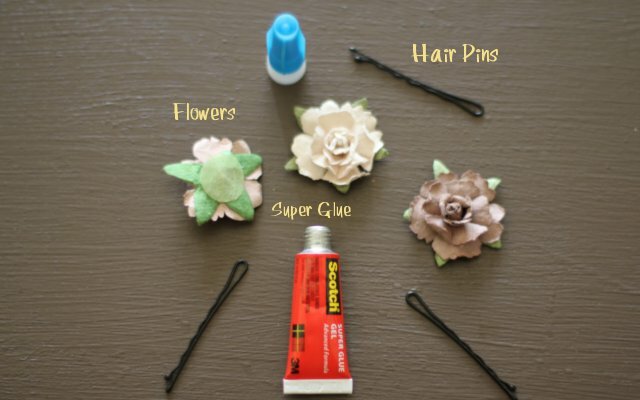 Super glue, hair pins, and the cute flower ornaments. Putting them together required a little work and patience. 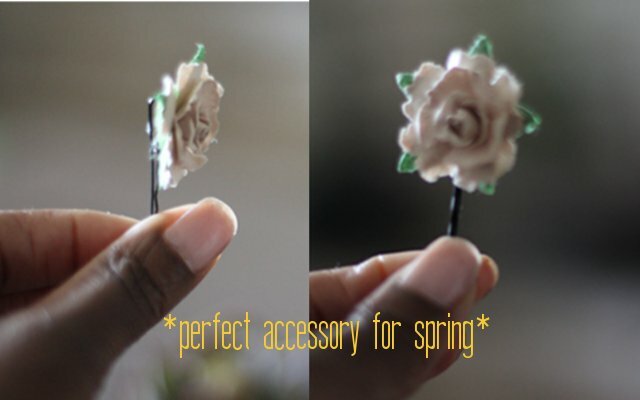 First I rested the flowers face down on a steady surface, then I balanced the hair pin on the flower (smooth side down). Once balanced, I proceeded to pour the super glue onto the pin, securing it in place. I first tried this with super glue gel but found it ineffective. Luckily, I had the liquid version handy which did the trick. The glue dried quickly and moments later, I created the cutest hair pins ever! Since my hair is so thick, I can actually "stick" them in my hair instead of "pinning" them in. I find that sticking them in seems a little healthier for me since I'm not used to using hair pins this small. 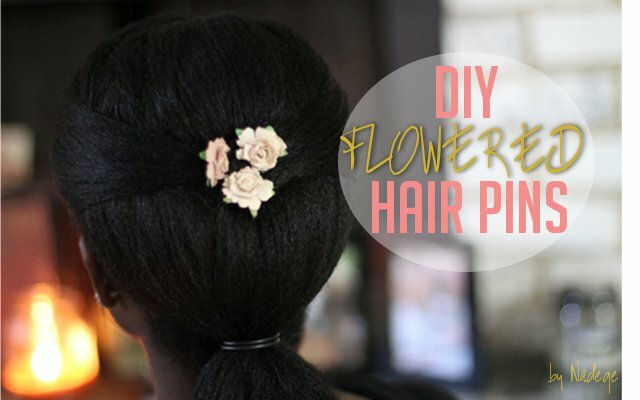 This method would work using bigger pins and even hair clips. I can't tell you how much I love these little things. It's been a while since I've done a DIY It felt pretty gratifying doing something with my hands. Can't wait to rock these with my maxi dresses come spring. Nice Idea. Absolutely wonderful. I think I may try this. This is beyond cute and super simple to do! Thanks for sharing!